VIKKI MOURSELLAS finished shooting “My Kitchen Rules” recently and soon after decided to attend The Rehearsal Room Summer Intensive TV Presenting Workshop in January. She had a ball and learnt a lot. Gaining selection as the Victorian representatives for this season of “My Kitchen Rules” required persistence and determination. Vikki’s perseverance has paid off. The first episode featuring Vikki and her identical twin sister Helena is on air 6.30pm this Sunday 2nd February. An unusual coincidence in this Summer Intensive was the participation of another reality TV participant who was ALSO AN IDENTICAL TWIN. 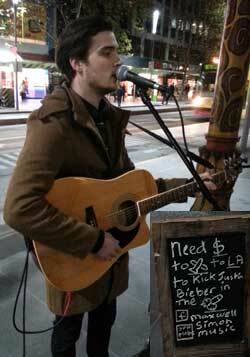 Ex-North Melbourne footballer Ed Lower is now moving into a new career phase. After appearing on "Big Brother" he is now working at building his TV Presenting skills. Professional sporting careers train people in processes that have high percentage returns. 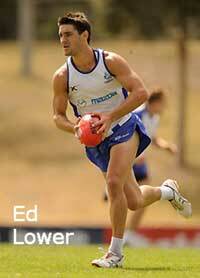 For example, Ed explained to us that there is a straightforward formula or routine to be applied when kicking a goal. Ed is now applying The Rehearsal Room techniques to help him kick goals in a new professional arena. So, you can’t get a gig on ‘Getaway’?? There are other options. 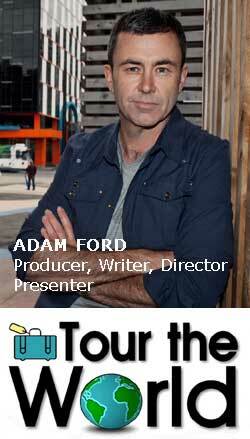 Two years ago ADAM FORD produced, wrote, directed and presented his own travel show “Tour the World”. It was shown on Foxtel Aurora. A second series was completed with an equal amount of hard work and was initially seen on Digital Channel 4ME. Jade Harrison got her big break and made her debut in one episode of the 2nd series. 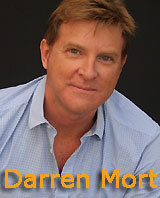 BUT NOW from 25th January “Tour the World” is airing on Channel Ten at 11am on Saturday mornings. Adam is NOW the producer of a show on mainstream TV. Check out the website. This has not been easy. 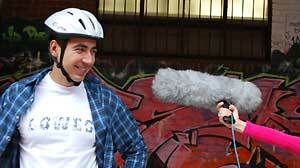 Adam has worked enormously hard not only making the show but also writing an excellent blog for the 2nd series. CONGRATULATIONS, Adam. A massive effort and a huge result. Adam would appreciate YOU spreading the word to build audience numbers. He also suggests you GET YOUR SKILLS UP AND A REEL TOGETHER because a third series is planned and he’s looking for presenters. MAX SIMON was paying for his acting classes at The Rehearsal Room by busking. He won’t be coming back to classes for a while because he’s about to start a degree course in Music Theatre at The Victorian College of the Arts. Max found auditioning for the course was fairly straightforward. He felt he “was the most relaxed actor in the auditions” because he knew what his job entailed. Plus he was absolutely confident that if they asked him to change he could do so with ease. That’s exactly what The Rehearsal Room process is all about. CONGRATULATIONS, Max … have lots of fun. MARK HOLDEN was back on the airwaves at the beginning of the year with commercials promoting Open Universities and online learning. Mark Holden finds The Rehearsal Room techniques clear, useful and very practical. He knows they work. LEANNE COURTNEY is in London exploring British acting scene. She had managed to get into British Equity but had been rejected from Spotlight (the ‘showcast’ equivalent). She wrote to me that, “In the past perhaps I would have accepted this rejection, but instead I chose to go into the office and state my case.” A helpful receptionist suggested she detail her experience in an email. Do you get the message? Just keep working at it. And of course, keep listening. 'Neighbours' Casting Director Thea McLeod and Greg Apps (Greg Apps Casting - Sydney) will be at the The Rehearsal Room 9am to 1pm on Saturday 15th & 22nd June respectively. Actors who wish to have a coaching session with me should book a private lesson. ‘ENVISAGING’ – is it useful or destructive??? We ALL do it all the time in life. When working on a performance actor’s do it a LOT and often not to any great advantage. Sometimes it’s to HUGE disadvantage. The results can be DISASTROUS. Kyahl Anderson (‘Lazy Town’ tour of Melbourne & Sydney). Four Sunday afternoon sessions focusing on “DELIVERING THE STORY”. A guest director will run the final session. 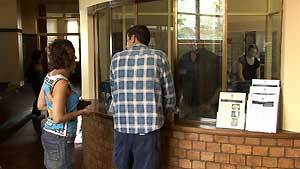 Actors have the choice to do the preparation sessions or just see the Casting Directors. Ever wondered how to find out all you need to get into VOICE OVER? Last WORKSHOP for this financial year starts 17th June and runs till the 22nd July. This intensive course will build your theory in the classroom and your practical skills in a professional recording studio. John Higginson has been teaching this course for 20 years and has it right. ADAM FORD’S series ‘Tour the World’ which finishes its season this week on TV4ME with a cruise down the Danube River, through Austria, Slovakia and Hungary. 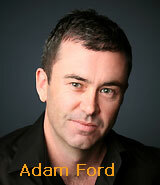 With high hopes of a second series Adam is seeking a female presenter for series two. You can find the details here. Two test screenings of The Rehearsal Room feature film ‘Rhyme and Reason’ have produced very positive results. The film was screened to two small groups over the weekend. The responses were very promising. 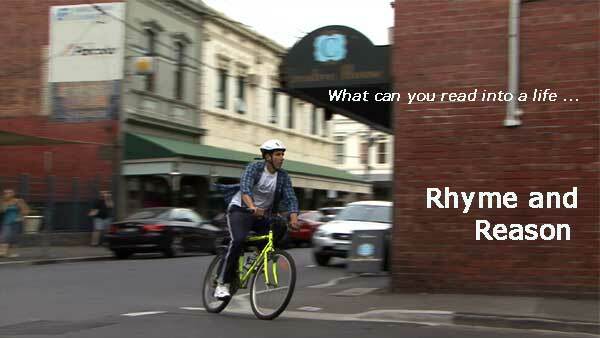 ‘Rhyme and Reason’ is a 90-minute film in which 41 actors from The Rehearsal Room have speaking roles. The response of the test audience was warm and very positive. They liked the story. Nearly 80% found the story touching and enjoyable. Their descriptions included phrases like ‘feel-good’, ‘sweet’, ‘easy to watch’ and ‘subtly poignant’. The average rating across the two groups of their enjoyment of the film was 7.6 out of 10. The highest rating was 9 out of ten and the lowest was 7. This audience was very clear about the message of the film. They said it was about ‘trust’, ‘hope’, ‘self-worth’ and ‘overcoming fears’. ANTE KRESO’s performance in the lead role received universal approval. THE NEXT STEP is to see if we can find a distributor. These good fun 5-day workshops are a very practical way to come to grips with the fundamentals of this uniquely simple approach to performance. 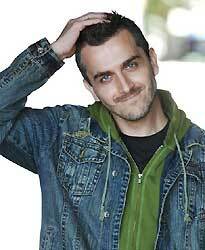 Stand-up comedian DAVE THORNTON found the Acting Summer Intensive enormously useful. JULES LUND, KELLY LANDRY and SHURA TAFT have all found The Rehearsal Room process provides a useful set of tools. 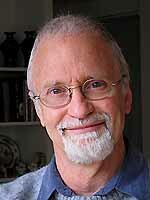 YOU CAN PREPARE YOUR SCENES with Richard Sarell over the NEXT THREE SATURDAYS ($315). Or just see the casting directors ($145). Enrol now. Ever wondered about VOICE OVER? Build your skills in a professional recording studio. Do you have the mindset that invites success?? Self-certainty is the only fuel that the engine of success will run on. 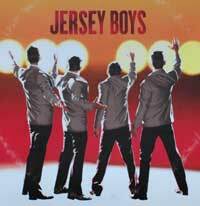 After 300 performances in the lead of ‘Jersey Boys’ Glenn Quinn has something important to share with YOU. There’s a NEW blog on the website. Get TIPS about acting; NEWS of classes; information about actor’s achievements and details of our feature film ‘Rhyme and Reason’. Click here to read the blog. The nightclub scene is now shot and this project is another step closer to completion. Last Saturday was spent at Revolt Productions in Kensington with the indie electronic band THNKR providing fantastic music. A large group of actors generously provided background action and the main cast worked hard at generating an energetic, engaging and believable performance. Two years of effort have gone into this shoot so far. Like any project, career or skill the single most significant factor contributing to a positive outcome is PERSISTENCE. The growth in skill of the main cast over this period is impressive. ARE YOU KEEPING WORKING EFFECTIVELY? Rhyme and Reason – YOUR HELP NEEDED!! Our feature film shoot is moving ahead. Each new scene shot is getting us closer to the shooting the final funeral scene. ON SATURDAY 14th APRIL from 9am – 4pm we are shooting the nightclub scenes. WE NEED ACTORS FOR BACKGROUND ACTION – ARE YOU AVAILABLE??? We’d love your unpaid help. A simple lunch will be supplied. Email contact@rehearsalroom.com to let me know that you are available. The NEW SUCCESS MINDSET Workshop. 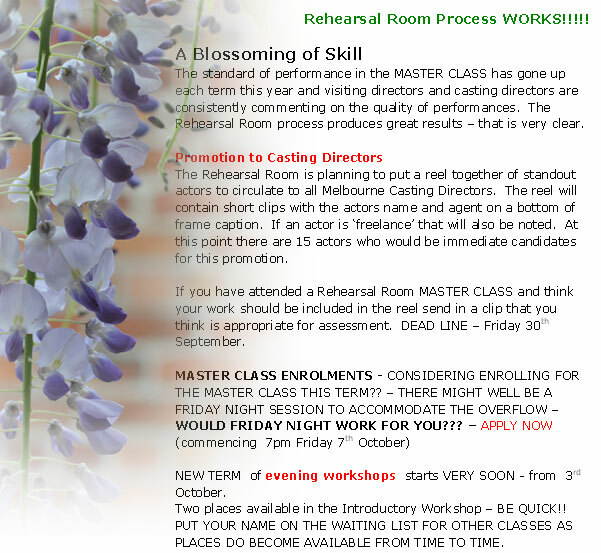 NEXT AUDITION WORKSHOP – 3 preparation sessions available this time - 21st, 28th April and 5th May - get set to see the casting directors ($315). David Morgan’s EXHIBITION OF PHOTOGRAPHS (colour as well as black and white) from Europe and South-East Asia are on display at Prince Maximilian Restaurant & Bar, 30 Commercial Road, Prahran 3181 until 31st May 2012. These delightful photos can be viewed while you have a drink or a meal. David has edited the show reels of many Rehearsal Room actors. 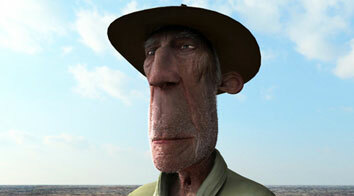 ‘Nullarbor’ the 10 minute animated film directed by Patrick Sarell and Alister Lockhart has had extraordinary success. 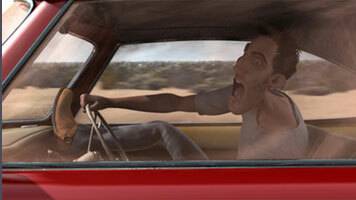 It won best animated short at Sydney and Melbourne Film Festivals as well as the AACTA award. It has also won host of awards at many international film festivals – the most recent being in Portugal. ‘Nullarbor’ is now available to view from iTunes. A search for the title will enable you to down load it. Congratulations to the whole Lampshade team. Keep working – persistence is the key to success. The ‘Rhyme and Reason’ feature film shoot has been moving ahead steadily throughout January. We have worked on 12 days since Christmas. The scenes involving Jakov (ANTE KRESO) getting his Earth Moving Certificate are now shot. This involved two full days shooting. Many thanks to all the actors who donated their time. This project is continuing to build actors skill at delivering story and maintaining a character arch. We learnt a lot and had plenty of fun. Some actors acquired a new set of skills. 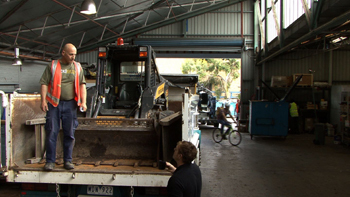 Five actors were trained by TDT Training Australia to drive bobcats, excavators and backhoes!! PROFESSIONAL VOICE OVER WORKSHOP with John Higginson starts this Monday 6th February. There might be one spot left for you IF YOU ARE QUICK!! The first Audition Workshop for 2012 will be on Saturdays 25th February and 3rd March. 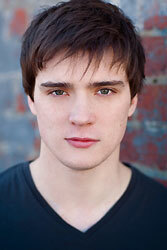 JANE NORRIS (Mullinars, Melbourne) and NICK HAMON (Nick Hamon Casting) are the casting directors. Are YOU aiming to improve your auditioning skills. These are the best audition workshops in Melbourne for building your skill. ENROL NOW. NEW FACEBOOK ARTICLE – “Making Decisions for Your CHARACTER” was published yesterday; “Building a World for Your Character to Occupy” was published a week ago. (To read them click here.) PLUS many more pictures of the 'Rhyme and Reason' shoot. The Summer Intensive was a huge success with everyone making significant achievements in building skill in front of the camera. There are still some places available for this 6-week course. 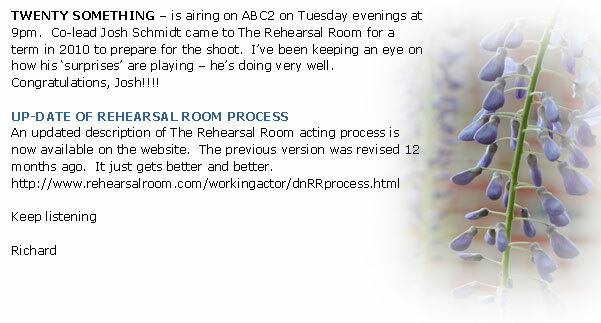 IF YOU ARE A 'REHEARSAL ROOM ACTOR' IS YOUR HEADSHOT ON FILE?? This week EMMA WALMSELY picked up a country TVC gig as a result of The Rehearsal Room sending out a half dozen headshots to an independent producer. She is shooting today. Christimas Wishes from The Rehearsal Room. As the year speeds to its end I hope you are getting organized for a relaxing Christmas and an EXCITING New Year!! FIVE exciting days boosting your knowledge and expanding your experience. The Summer Intensive for TV Presenters commences 2nd January and the Acting Summer Intensive starts on 10th January. For more details click here. THERE IS STILL A SPOT AVAILABLE FOR YOU. Max Simon attended the Summer Intensive in January 2011. In January 2012 he’s learning to drive a bobcat to shoot about 10 scenes for the feature film project ‘Rhyme and Reason’. Planning On Starting Rehearsal Room Classes in January??? SAVE $40 by paying your fees by 30th January 2011. January will be a busy time for The Rehearsal Room. We are working on finishing our feature film ‘Rhyme and Reason’. The script is complete but in the final stages of polishing. The major roles are cast, only some bit parts remain. Erin (ANDREA McCANNON) and Jakov (ANTE KRESO) debating the value of poetry. 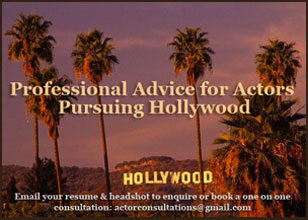 Are you planning on working in Hollywood? Or maybe just considering the options? Would you like to know more? There is a lot of misleading information distributed. YOU CAN find out from someone who is in the thick of it! An expert consultant is available. 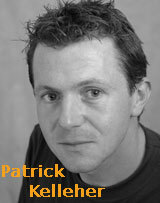 Rehearsal Room Actor Nick Gunn is in a web-based project ‘The Weather Man’ with Robert Grubb. It’s in the process of raising funds. YOU CAN HELP. To find out more CLICK HERE. 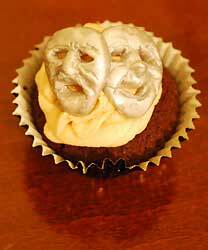 Here’s something fun to consider – A PLAY IN A DAY – why don’t you have a play?? Have a GREAT and safe Christmas. ... What’s Different at The Rehearsal Room? At The Rehearsal Room actors learn how to identify and deliver THE STORY. It’s a primary goal for an actor. Introductory (9am – 1pm) and Advanced (2pm – 6pm) Workshops start THIS SUNDAY 6th November. Build skills that enable you to find your place in a scene quickly and efficiently. It’s a process based on clear and simple principles that give the greatest chance of success. For details – click here. 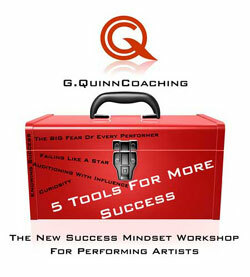 The cost of workshops is increasing in the New Year. You can get 2012 classes at 2011 prices by enrolling and paying before Christmas. Plan ahead and SAVE $40. A major effort is being made to complete the script in preparation to shoot the remaining portion of The Rehearsal Room feature film “Rhyme and Reason”. The enormously positive responses to the quality of the performances and the engaging nature of the story have generated a determined commitment to finish this project. Every day brings new and exciting prospects. So, far there have been 28 speaking parts for Rehearsal Room actors with many more to come. The scenes in which Jakov (ANTE KRESO) and Pip (KARLA HILLAM) learn to drive earthmoving equipment are currently being written. These will be shot with the assistance of TDT Driver Training who is supplying an excavator, bobcat and backhoe plus technical supervision. There’s much fun and many great experiences ahead. An excellent 40 minutes of content is already ‘in the can’. Hopes for the final completion of this remarkable project are high. It is probable that “Rhyme and Reason” will have to be completed on a tiny budget. Thus far an enormous amount has been achieved at very little cost. Currently Mushroom Records are allowing the use of Angie Hart’s songs to pitch the project but if we are able to afford the use of some of her tracks there will remain a significant amount of incidental music needed for the film. IF YOU ARE or know a MUSICIAN who might be interested in creating the musical sound track for this story then email The Rehearsal Room with contact details and some examples of appropriate work. A more specific brief is being prepared. This is an early step towards getting organised for the post-production process. At this stage it is unlikely that there will be any significant financial remuneration for involvement in this project. However, it is shaping up to be a very well-told story and a worthwhile filmic event. THE PLACE TO BE SEEN – Rehearsal Room Audition Workshops have the highest standards and the best learning experience. MEET Alison Telford from ABC-TV on 8th October and Fiona Dann from Chameleon on 15th October. A FEW PLACES LEFT – ENROL NOW. A short film competition created to raise awareness about the Herpes Simplex Virus. Make a thirty second short film that deals with 'how do you tell someone that you have herpes?' There are $15,000 worth of prizes to be Entries are due by 11.59PM AEDT 28th October 2011. If you think you are up to the challenge, log onto http://www.liveandlove.com.au for more information. If you have an idea and want to see if The Rehearsal Room can help you shoot it, get in touch. The standard of acting in the Audition Workshops is reflecting the high skill level achieved by Rehearsal Room actors. Melanie Mackintosh said that this was the highest standard she had seen and requested copies of the auditions for her files. Lou Mitchell similarly commented on the impressive standard. Agents recommend that actors should make sure they are seen at a workshop where the standard is high. Many of the Audition Workshops around town have many performers with low level capabilities. At The Rehearsal Room the focus is always on practical ways to build skill. NEXT AUDITION WORKSHOP is with Thea McLeod (Fremantle International – Neighbours) and Angela Heesom (South Australian Film Corporation). PREPARATION SESSIONS are available with this round. You can choose to spend three Saturday mornings preparing at The Rehearsal Room and then see the casting directors OR just prepare yourself. Preparation sessions commence on 23rd April. ENROL NOW. NEW TERM OF CLASSES – TO SIGN UP click here. The next term of Introductory Rehearsal Room Evening Workshops is about to commence from 12th April. These classes are the best way to get a solid grounding in a process that produces consistently good results. “Your students were terrific,” wrote this terms visiting director Andrew Prowse. Andrew is currently script producer for the next series of ‘Rush’. As a director he has a long list of TV credits dating back to ‘Heart Break High’. The final MASTER CLASS for last term was directed by Andrew with a uniquely individual style. Actors found his session both challenging and very rewarding. GOOD work from everyone. JULIA GREENHAM, LYNNE McGREGOR, GENEVIEVE BROCK, TIM CLARKE, NICOLE McMANAMMY and ODNA GEREL in the final first term MASTER CLASS. BRIAN KLYS decided to enter ‘The Road to Hollywood’ competition run by MIX101.1 Brian started acting in The Rehearsal Room Introductory Workshop in April 2009. His stated aim was to just, “Give acting a go!” Two years later he entered a competition with the aim of testing his skills. This time his aim was to get into the top ten. Brian made it to the top ten and then, early in March, heard he was selected in the top group of THREE. Lou Michell (Maura Faye Casting) was to supervise the final assessment to sort out the winner. Brian spent a fabulous week participating in various acting challenges to decide who the winner would be. He had a ball. Entering the competition gave him a lot of experience and some very good exposure. How did he do so well?? He explained it this way, “I set simple goals. I decided on a simple clear reason for the conversation and then I worked on listening and staying on that path.” Congratulations, Brian. ANTE KRESO has gained a huge amount of experience through playing the lead in ‘Rhyme and Reason’ and is now consistently receiving high praise from casting directors. “He’s got something special,” they are saying. Aaron McCarthy who attended the The Rehearsal Room TV Presenters and Voice Over Workshops in 2009 has a new agent and a new presenting show reel that looks great. Congratulations, Aaron. You can view his reel here. Patrick Sarell’s ‘tortoise and the hare’ animated story based around a road rage incident on the Nullarbor plain is now complete, five years after it was conceived. 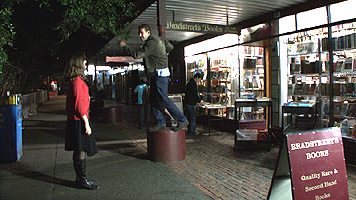 It received funding from both Film Vic and Screen Australia. Now it's achieving success both here and internationally on the festival circuit. ‘Nullarbor’ premiered at the Adelaide Festival with a four and a half star rating. It will receive its international premier at the Stuttgart Animation Festival were it is scheduled as the final film to be screened on the opening night of the Festival. ‘Nullarbor’, produced by the Lampshade Collective, has also been accepted into the Annecy International Animation Festival and the Rhode Island International Film Festival. There are more to come. Rehearsal Room techniques that explore the way surprises play out was an important part of the animation production process. The surprises these animated characters experience are excellent and a significant amount of the humour in the story unfolds as a result of the surprises that occur. Congratulations to a hard working production team. The most recent Rehearsal Room article is on surprises and there’s a great video clip included which shows a real life surprise. Check it out. Wishing you ALL lots of great gigs in 2011. Over the next 12 months make sure you play, take risks, enjoy, grow and celebrate. Twelve Months Work – With 4 more scenes shot in the last week before Christmas the MASTER CLASS feature film exercise ‘Rhyme and Reason’ is now ready to be pitched to broadcasters and funding bodies. The aim is to attract funding to complete the project. Forty minutes of content makes up the reel that has involved 22 speaking parts for Rehearsal Room actors and 40 scenes. This project has been extremely well supported by actors and benefactors – including the $300,000 truck used as a prop just before Christmas from TDT Driver Training (see opposite), Croydon Library (last Easter), a factory, offices, bobcat and a truck last Christmas. Mushroom Records and Angie Hart have also given permission to use the music from her album ‘Eat My Shadow’ (to pitch the project) and John Marsden has given permission for references to ‘Tomorrow When the War Began’. HERE’S HOPING FOR LOTS OF GOOD NEWS FOR YOU, TOO. Acting Summer Intensive commences on 10th January 2011 for 5 days. There are still some places available. Don’t miss this opportunity to learn the exciting practicalities of this unique process – it will make a difference. 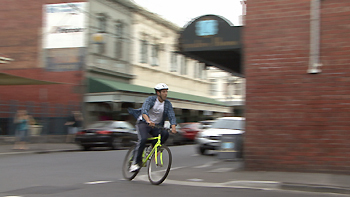 Jakov (ANTE KRESO) in a hurry to ask Pip (KARLA HILLAM) to help - R & R shoot. Angie Hart ex-lead singer from the popular band Frente and Mushroom Records have given permission for The Rehearsal Room to use the music from her solo disc “Eat My Shadow” to pitch the MASTER CLASS project ‘Rhyme and Reason’. The charming melodies and strong storytelling content of Angie’s songs support beautifully the ‘Rhyme and Reason’ storyline. Everyone agrees that Angie’s music is perfect for this story. It’s not such common practice for songs to be used as incidental music in a film but in this case the match is made in heaven. Rhyme and Reason is a feature film concept that started shooting in early January as an exercise for Rehearsal Room MASTER CLASS actors. The aim was to provide an opportunity for actors to gain more ‘on set’ experience. Fifty minutes of content has been shot in that time. The Rehearsal Room is exploring the possibilities of 'Rhyme and Reason' becoming a fully fledged production. It is for the purpose of pitching the concept to broadcasting organizations that Angie Hart has given permission to have her music used on the production. Any wider use will have to be part of further negotiations. But for the moment, ‘Rhyme and Reason’ can have a classy sound track which supports the nuances of its story. Fingers crossed that this project can develop into something more significant. But in the meantime, whatever the final outcome, it has given the participating Rehearsal Room actors a huge amount of experience that they would not otherwise have gained at this stage of their careers. Rhyme and Reason has been written by Jane Miller and Ashley Harris. Since the demise of the VHS tape and player it has been necessary to record onto a DVD. This method of copying has been very unreliable. Some acting schools get around this by only providing actors with a copy of their work at the end of each term. This method of operating was not chosen by The Rehearsal Room because its very important for actors to be able to assess their work on a weekly basis. The Rehearsal Room has been using re-writable DVD’s but these are particularly unreliable and so often it was a case of using a DVD per night. But now with the purchase of two new converters actors can record their scenes, as Mp4 files, straight onto a USB stick. The files are transferred in real time to the USB stick and can be instantly played back on a computer. The system which has only recently been installed at The Rehearsal Room is currently being tested. Those actors who have used it are finding it very effective. USB sticks are smaller and more portable plus they are reusable. They are considerably less complicated than the DVD process we have been using so far and so they are much more effective. From now on Rehearsal Room actors will be able to take their scenes home, after each class, on a USB stick. Hooray!!! Cooking up clear and functional recipes for successful acting processes is exactly what The Rehearsal Room is all about. But AMY BORELAND has been cooking up recipes of her own making. For the best part of two terms Amy has been bringing the most delicious cup cakes to Thursday night classes. These are no ordinary cup cakes. Every week there has been a different theme. 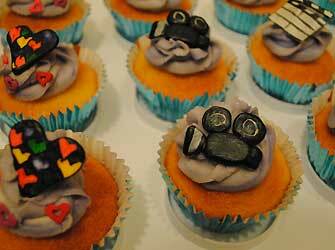 It started with special Rehearsal Room cup cakes but there have been cakes with a film making focus and lots more. This Thursday night group of actors has consistently stuck together for three terms. A significant factor in this groups commitment might well have been the enticing quality of Amy’s cup cakes. Very YUMMY!!! For many years actors have been browsing The Rehearsal Room website for articles that continue to develop and explore functional approaches to acting process. It’s the clarity and simplicity of these articles that attracts actors’ interest. In the last month two new articles have been published that have generated a lot of positive comment. The first article on how to ‘play boldly’ to garner the attention of casting directors and producers touched on fundamental issues that many actors see as central to their craft. It exposed areas that many actors acknowledged were extremely important ones to address. “This article is now hanging on my bedroom wall :)” wrote actor, GENEVIEVE BROCK. In addition sixteen year old EMILY COUPE has worked out for herself another way deciding on the real essence of the conversationin any scene. This valuable and intelligent suggestion formed the basis of another useful article that has produced very positive responses from older and more experienced actors. You can read these articles by clicking here. The first term of 2010 is now complete with exciting results. 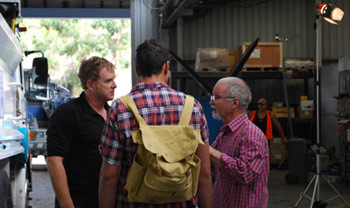 This term Lou Mitchell (from Maura Faye – Neighbours) was the casting director who attended the last session of the Advanced Workshop. The MASTER CLASS is on Wednesday evenings commencing from 14th April. The next TV Presenters Workshop commences at 2pm on Saturday 24th April. The Audition Workshop with Jane Norris (Mullinars) and Thea McLeod (Thea McLeod Casting) commences on Saturday 17th April. This will be one of only two workshops this year where you can prepare in a class with Richard Sarell. There will be three preparation sessions focused on building audition skill before seeing the casting directors on 8th and 15th May. Of course you can still book to only see the casting directors. The first sixteen minutes of the Free Feature Film Worshop (Rhyme and Reason) are now edited and there will be a screening at The Rehearsal Room, of the edit so far, on Sunday April 11th at 3pm. EASTER SHOOT – audience needed. 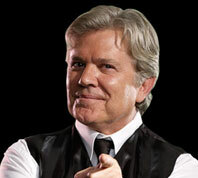 Glen Quinn has been a member of the Jersey Boys cast since it opened in Melbourne playing the smaller parts of Knuckles, Billy Dixon and Donnie. Glen has also being understudying the lead role of Tommy DeVito. But opportunity has knocked and Glen has now played that lead role about twenty times. He is doing a fantastic job and it’s exciting to see a Rehearsal Room actor carrying the story of a major production on stage at the Princess Theatre. In these performances Glen has been doing a great at job driving the story forward. 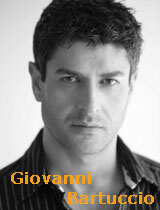 He is focused on story in a richly complex way in both his acting, movement (dance) and singing. His surprises are fabulous. The New Year is off with a bang at The Rehearsal Room. Above: Rehearsal Room students filming for the Free Feature Film Workshop, January 2010 On Saturday 2nd and Sunday 3rd January the first scenes of the Free Feature Film Workshop were shot. These were two fantastic days of acting fun. Materials Fabrication Pty Ltd provided the shoot with a fabulous location and great back up support from the staff. Rod Winning contributed with lighting; Frances McLean-Grant (ABC continuity expert) assisted with continuity and trained Jo Mullins to take on this job; Ex-ABC Director Lindesay Dresdon operated the second camera and Ex-Neigbours Director David Morgan was 1st Assistant Director. Richard Sarell was directing. All these experienced professionals were highly impressed by the standard of the performances. Entirely made up of Rehearsal Room actors, the cast excelled. They were efficient, adventurous, playful, consistent and hard working. This workshop is designed to give Rehearsal Room MASTER CLASS actors a wider level of experience. It functions like a real film shoot but with a slightly lower level of technical sophistication. The script has been especially created for the exercise with both Jane Miller and Ashley Harris contributing to the writing. The quality of the story telling was exciting and everyone responded positively to good scripts. Eight scenes were shot over the two days with very pleasing results. It provided some actors with an experience they have never had before and gave Rehearsal Room acting process a good workout in a genuine working enviroment. There are more of the standard Rehearsal Room Workshops underway. The Summer Intensive is another great opportunity to explore this remarkably practical and excitingly adventurous approach to performance. The final exercise of the Summer Intensive Acting Workshop is to shoot a scene. It is ultimately edited so that actors can have a copy of the finished product. There are still a couple of places available in that workshop. Click here for more information. The Short and Sweet short play festival ended with the Nicholas Gunn winning the best actor award. Nick appeared in two plays both of which were selected for the gala final night. His winners prize gives him 5 months fulltime work touring the country with a season of Shorter and Sweeter plays. This will be the longest period of time Nick has spent working as a professional actor. As such it represents a major step forward in his acting career. Nick has found Rehearsal Room process to be really productive in helping him make clear choices when preparing for a role. He discussed his approach in a recent interview which is now available on The Rehearsal Room YouTube channel. During 2009 The Rehearsal Room continued on its remarkable adventure exploring and developing the acting process. More and more actors are finding that this approach to performance is choc-a-bloc with simple practical tools that enable significant improvements to occur in acting technique. During the year Richard Sarell was quoted as saying that he thought the on going growth of "Rehearsal Room process had reached a level of wholeness that was now very satisfying". And yet, still further developments emerged through the year that have further clarified and improved the process. One new and simple addition to the Rehearsal Room formula was a significant factor in Nicholas Gunns preparation for the performance that ulitimately delivered a Best Actor Award to him. The element that continues to excite actors about The Rehearsal Room approach is the continuing development of simple, clear and extremely practical methods of preparing for the performance adventure. These techniques are constantly tested for their praciticality and efficiency. It is this atmosphere of exciting exploration that provides an open forum for everyones ideas to come to the surface. The end result is clear improvement in actors capabilities and some exciting performances. Heres to more exciting developments in 2010. 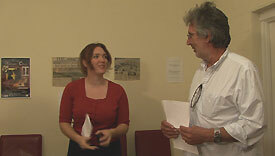 TV PRESENTERS SATURDAY AFTERNOON WORKSHOP 21st JANUARY. Hobson's Choice directed by Richard comes to Chapel off Chapel from June 14th. 3 year Home and Away contract for Esther Anderson - Hobson's Choice tickets now on sale - Round 2 Audition Workshop with Jo Rippon and Lou Mitchell. Hobson's Choice is casting - The Rehearsal Room changes your view - Sunday Workshops - TV Presenting class filling fast - Professional Presenters seek Rehearsal Room advice. Two actors on NIDA short list - MTV opportunity for TV Presenter - Summer Intensive - What's The Rehearsal Room difference?? Strong impression made by actors in Audition Workshop - Weekend workshops commence soon - 'There Are Only Three Stories' - One more TV Presenters Workshop for the year. Rehearsal Room Theory Tested - Tom McSweeney and Cameron Harris are the casting directors for Round 3 - Kristin Sargent and Patrick Constantinou attracting attention - Jackie Rae Lythgo gets a good review with STC - Forrest's Blog 14 'Love???' - NEW Director's Notes. Auditions for "Missing Manual" - Monologue class size reduced to 6 - Forrest's Video Blog now more than a RR exercise - Performance Perspectives on "The Lives of Others" - Chapell Off Chapel Playwright Forums - Australian Screen Tests. Why Rehearsal Room process works - First Voice Over Class up and running - 1st Audition Workshop has casting directors who are currently casting a series - Forrest gets the sack. The Summer Intensive Workshop 'Hobsons Choice' Auditions Forrest's Video Blog and its techinical difficulties VIRGINIA BOWERS in 'The King' - "Listening - The Key to Everything." article. The Rehearsal Room is about working at building skill. PAUL COUSINS is beginning to reap some rewards for his labours. 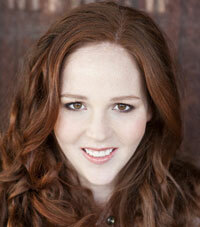 Little Miss Sunshine actor gets presenting gig hope of Jules Lund workshop meetings good value. US actor and director Brian Drillinger visits Summer Intensive independent feature film for Samantha Hird. US actor/director at The Rehearsal Room - NEW MP3 file "The Path to Realism"
Audition Workshops - Veronica Taylor from Mullinars comments on the consistency of Rehearsal Room actors - new website for The Rehearsal Room - Audition reading a way to build skill. New workshops with Paul O'Brien (Home and Away) and a Monologue Workshop - Jules Lund workshop postponed - speed show reels (very interesting) - "McLeod's Daughters" director takes a class. Logies success for Paul O'Brien - Jules Lund at the Logies - 1st RR MP3 audio file on audition workshops - new casting agency - new magazine.